We feel so incredibly lucky to interview such amazing talents. Our profiles showcase the understated and refined simplicity of today's evolving wedding industry. 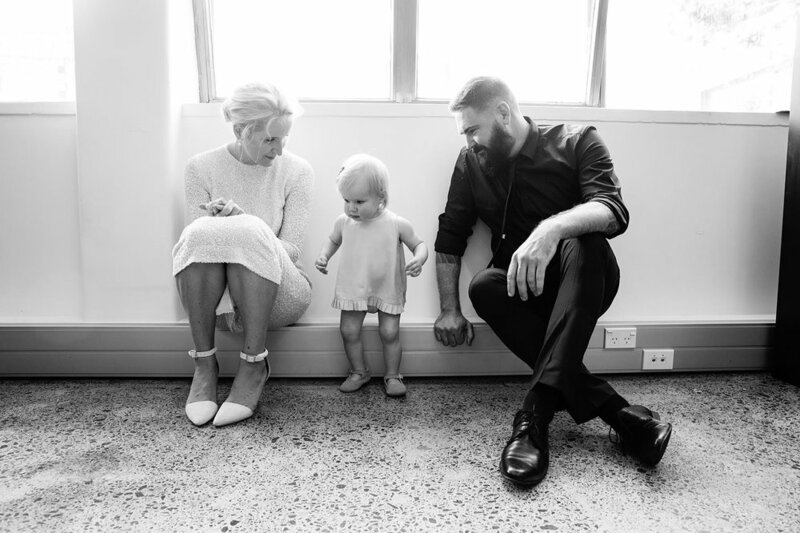 The second in a series of Love Club profiles, Juliette Hogan. Fashion designer. // Juliette has a faultless ability to continuously redefine understated simplicity. Her collections are grounded in the lost art of design with a focus on cut, fabric and craftsmanship. Her garments nod towards the most refined of feminine styles created in a way that feels consistently fresh at home with a masculine sensibility. Let's start at the beginning, can you tell us a little more about who you are and what you do? I know you were married recently, there's not a doubt in my mind that it was a beautiful day, can you tell us a bit about it, what made it uniquely the two of you and set the scene for us? It was such a beautiful day! Dion proposed in August and we decided that we wanted to share the day with people sooner rather than later so set a date in November. Everyone that knows us knows that we are deeply committed to each other already. The day was intended to be about the celebration of families and friendships and about how important all the guests were to us as a couple - and it was. We were both there at the venue when the guests arrived and had a few photos taken beforehand so that we didn’t have to leave after the ceremony. The whole day was beautifully executed but kind of low key. It was important to us that people felt ‘looked after’ so all our decisions were made with regards to this. It was so much fun - we love hosting and being surrounded by loved ones. What was the planning process like, any wonderful vendors you worked with that are worth a special mention? I loved planning it and it was pretty straightforward. I guess I have had a lot of experience with work events and have a clarity about what I like and what works for me so I knew what we were after from the outset. We did have a wedding planner, Erin from Winder Events, who ran the setup and night for us and she was great to work with. We weren't going to have any flowers but added them at the last minute and they were beautiful - Alex from Wonder Florals did these for us. Has being married changed things in your mind at all? Not at all. I think having a child together is more of a commitment than being married. It's quite nice being able to introduce Dion as my husband though. How was Dion through the planning process? You have such a beautiful strong and defined aesthetic how did you find a happy medium on the day? Dion and I have such a similar appreciation for all things design related. He was pretty good at letting me just run with it because he knew that whatever I did would suit us both perfectly. Can you tell us a bit more about how it works, who is the Jho bride, what parts of being involved in weddings makes your heart sing? I love that we can work with individuals to help them create something bespoke for their special day. The dresses that we have are a reflection of what we do in our seasonal collections with favourites from past collections too - beautiful clean-lined silhouettes out of luxurious fabrics. People come to us and we can work with them to choose a style that makes their heart sing and then look at various fabrics/colours to make the dress unique to them. Have you got an all-time favourite dress in the collection or collections past? There is a handful that I think are just so beautiful. The one I love the most though is the dress that I made for our special day. It was so true of my personality and dress sense and I loved wearing it so much. Best piece of advice for brides? It’s such a wonderful thing to be surrounded by all of those you love - enjoy it for what it's worth. Bridal muse, past or present? Caroline Basset Junior - her dress immaculate! "The Juliette Hogan Bridal range is available to view by appointment only at the bridal space above the Ponsonby Road store. A Bridal Consultant will personally assist you in selecting the styles and fabrics best suited for you and / or your wedding party." A photographic journal // We were lucky enough to spend some time capturing the morning light in the Juliette Hogan Custom Made Bridal studio..